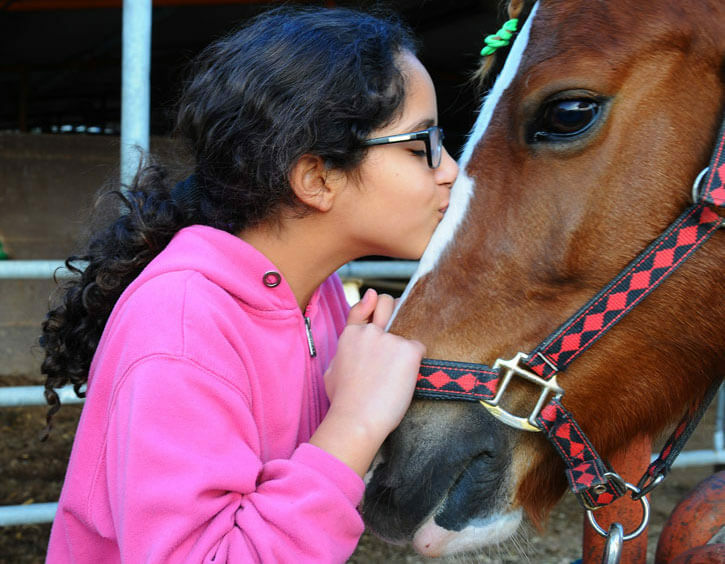 The Israeli non-profit organization Israel Mitzvah Horses (IMH) assists Children, Youth, and Young Adults in Israel through Equine Assisted Activities including Therapeutic Riding. IMH subsidizes therapeutic riding programs across the country for targeted groups of riders who would not otherwise be able to enjoy them. IMH partners with existing centers, adding these new groups of riders, and providing specialized training and enhancement of professional standards. Through IMH, hundreds of low-income at-risk youth, and children with disabilities, improved their lives because they had access to Therapeutic Riding, and dozens of Therapeutic Riding instructors have been trained and mentored. Brigitte Bigar, President and Founder of IMH, has long been passionate about horses. After moving from Switzerland to Israel, following her Zionist feelings, she decided to dedicate much of her time and funds to assisting others. Her encounter with Therapeutic Riding was a turning point for her, as she realized she could mesh her love of horses and of Israel to help people with physical, cognitive, and emotional difficulties. She earned a diploma in Therapeutic and Sport Horse Riding in Israel. She partnered with Israeli therapeutic riding expert Laurence Weill Ikan in 2014, creating IMH. Laurence Weill Ikan, IMH Director, who moved to Israel from France when she was 16, has over 25 years’ experience working with horses. She is well known in Israel as a Therapeutic Riding Trainer. In 2008 she created the Therapeutic Riding Committee of Israel within the Israel Equestrian Federation. She trains and mentors Therapeutic Riding (TR) instructors throughout Israel. She is an official evaluator for TR certification, and a judge in the Special Olympics. Activities take place in settings around the country, partnering with existing places who agree to meet IMH’s standards. Both Brigitte and Laurence are part of the national therapeutic riding professional committee, implementing the rules and regulations of the committee into therapeutic riding centers, helping centers in Israel reach the highest professional standards. We believe in the power of the horse and trust a horse’s abilities to communicate and empower special riders.